Today, we're seeing an explosion of consumption as consumers move the browser to trillions of apps on hundreds of different mobile devices. You may have heard how companies like Google and Twitter have tapped into new markets by offering public APIs (application programming interfaces) for developers to build apps and new distribution for data and services. But the public APIs that you see are just the tip of the iceberg. Private APIs are being used by many companies to create huge value by offering a new way to connect with partners and accelerate internal innovation. In this webcast presentation join Dan Jacobson from Netflix, Greg Brail from Apigee, and Dan Woods from Evolved Media - authors of "APIs: A Strategy Guide" - as they discuss how business leaders can use APIs to transform as a strategy to transform business through private and public APIs. Greg Brail has led the Apigee technology team as it deployed its API management technology for scores of customers. Prior to joining Apigee, Greg led the technology behind BEA's WebLogic JMS and Core Engine initiatives and developed the message-delivery infrastructure at TransactPlus. 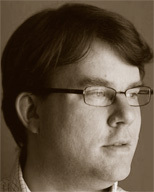 Dan Woods is a seasoned CTO, author, speaker, and entrepreneur with experience in business, computer science, journalism, and publishing. 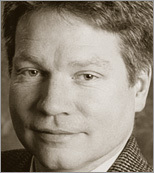 He is CTO and Editor of CITO Research, a firm dedicated to creating content to improve the performance of CIO and CTOs. 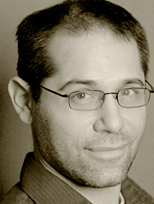 As an author, Dan has written or coauthored more than 20 books about business and technology, ranging from books about service-oriented architecture, open source, manufacturing, RFID, and wikis to the ideas driving the latest generation of enterprise applications, particularly in the face of Web 2.0's impact on the enterprise.